Are you looking for an affordable way to replace several missing teeth? Dental implants and bridges can be rather expensive. 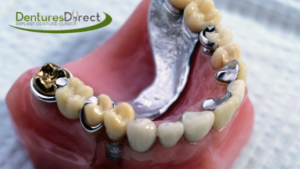 If you’re on a budget and live in Toronto, removable partial dentures from Dentures Direct Implant Denture Clinic could be a consideration for you. 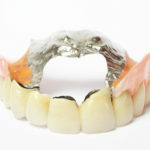 Partial dentures a re cheaper than other forms of tooth replacement. Partials are a less invasive procedure than dental implants and bridges and are a great option for those that may not qualify for such procedures due to health issues. If additional teeth are needed in the future, they made be added to your current appliance, rather than having to get an entirely new one. Partials can improve your ability to chew your food and even how you speak. If you feel self-conscious about your missing teeth, partials may make you feel less embarrassed about smiling and talking in public. When a tooth is extracted, neighbouring teeth slowly tilt into the space, trying to find something to rest up against. This can lead to unsightly slanted teeth that are difficult to clean and more prone to developing gum issues. Partials – no matter the kind, serve as space maintainers and prevent teeth from shifting. 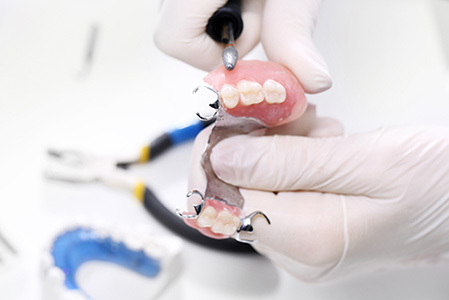 Partials are easier to wear then complete full mouth dentures, so if retaining your existing teeth is an option for you, it may be recommended over going directly into a complete denture. At Dentures Direct Implant Denture Clinic in Toronto, we specialize in tooth replacing, custom-made appliances for patients. When you come by for a consultation, our denturists can conduct a thorough evaluation to see how many teeth you’re missing and determine if a partial is a good option for your needs. We even have different types of partial dentures that you can choose from; there’s a solution for every budget! This prosthetic appliance is affordable and works great for our patients that are missing a few teeth. Most people find them to be fairly comfortable. However, they’re only made of acrylic which can break more easily. While they can be repaired, once they are, acrylic partials may be more prone to breaking again. Such partials are held in place by small metal hooks (known as clasps) that hug your adjacent teeth. Depending on how it was made, our denturists may or may not be able to add additional teeth to this type of partial if the need ever arises. If you’re missing several teeth or have a strong bite, then you should consider getting a metal framework partial. This is the longest lasting and highest quality/best partial available. This appliance consists of a custom-made metal framework where the area that sits on the roof of your mouth is made of strong metal. For a lower partial, the metal framework is found on the inside, along the tongue. The metal doesn’t show, but it’s what makes this device the most durable option available. Patients who have metal framework partials can enjoy them for many years. Along with the framework holding the partial in place, this appliance uses clasps as the acrylic partial does, to ensure a snug fit. Denture adhesive isn’t needed. There’s nothing worse than your partial slipping out when you’re having a conversation with someone! 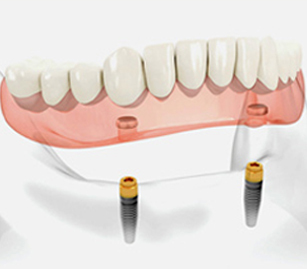 This option is also great for patients that want to slowly transition to a full denture. Metal framework partials allow us to add teeth to them as necessary. 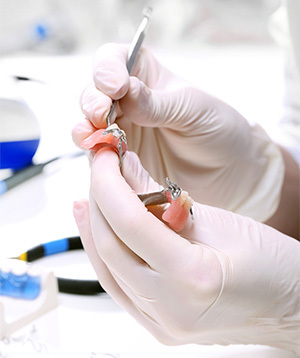 So if you’re faced with needing another extraction, our denturists can add another tooth to your partial for you. We even offer this service while you wait, so you don’t have to be seen without teeth. With whichever option you choose, you can rest assured knowing that our industry professionals are making your prosthetic appliance from the best materials available. Our process involves a series of steps that allow us to ensure that the final product is one that will look and feel great, as well as last as long as it’s intended to. The area of your partial that goes on the roof of the mouth, or against your tongue (on the lower) is made from a custom mold of your mouth to help ensure a snug and precise fit. Then any acrylic base is available in different colors and we’ll mimic your natural gum tissue color as best as possible. When selecting which teeth to use, our denture specialists choose a set that coordinates with the shade, size, and shape of your current smile. Functionality is also crucial in making a good partial. We register the way you bite your existing teeth together to replicate that pattern in the alignment of the new partial teeth. Are You Unhappy with Your Current Partial? If you had a partial made somewhere else and it doesn’t fit well or there’s something else that you’re not happy with, we’ll gladly take a look at it. At times we’re able to work with patient’s current partials and adjust them to their liking. It doesn’t hurt to ask! The professional staff at Dentures Direct Implant Denture Clinic is here to help the Toronto community. We even offer free consultations. We’re not just any dental or denture clinic. We strive to make the best looking and longest last appliances available. 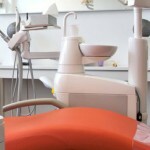 If you have teeth that need to be replaced, then call today!